The Perth property market is currently offering property buyers throughout Australia the biggest discount in any capital city according to Troy Gunasekera, national spokesperson for Property Club. Mr Gunasekera said that during May 2017, Perth property sellers were offering buyers an average of 7.1 per cent discount off the listed selling price. “This is the highest average price discount for the Australian capital cities and is more than double the rate of discount being offered in Melbourne (3.5 per cent) and Canberra (3.0 per cent). “The median price of a home in Perth is now around $500,000 which is half that of Sydney and substantially below Melbourne. But Mr Gunasekera warned that while Perth might be a “buyer’s paradise” now, it is not likely to be one for long. He said that “massive” new investment being directed a new generation of commodities such as lithium in Western Australia would soon put paid to Perth’s attractiveness to buyers. “Western Australia is poised to be the biggest producer of lithium in the world driven by demand from China for this rare commodity used in the production of batteries for mobile phones and battery powered cars,” said Mr Gunasekera. “For example, during the last week Pilbara Minerals announced it had secured final environmental approval for its $230 million Pilgangoora project, south of Port Hedland. “It is only one of several lithium mines planned to be under construction in Western Australia over the next year." He also said that lending restrictions will have the effect of reducing the supply of new homes in Perth. “This will create a perfect storm of a lack of housing precisely when the next commodity boom hits Western Australia causing an influx of workers that need housing. 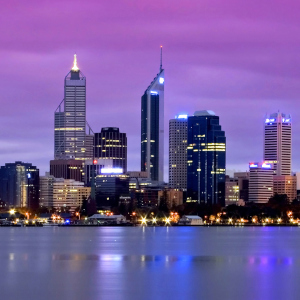 “With a median house price of just $505,000, Property Club research department sees growing potential in the Perth market moving forward and we are now focusing on selective areas which have the most potential for capital growth in the city."